The board of directors of the Venice Biennale chaired by Paolo Baratta announced the recipient of the honourary Golden Lion for Lifetime Achievement. 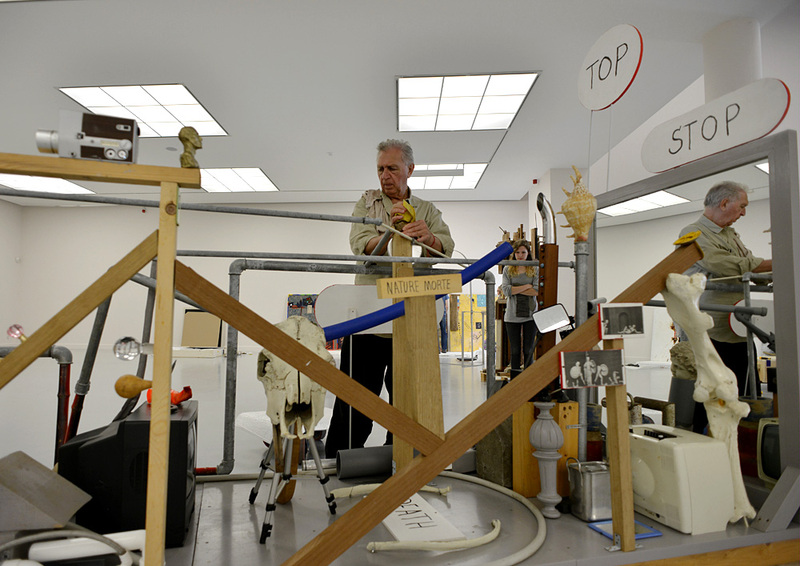 The award will be given to sculptor, poet and essayist Jimmie Durham. In the 1960-1970s, he was active in civil rights movements of African Americans and Native Americans, the Art Newspaper reports. “For more than 50 years, Durham has continued to find new, ingenious and cogent ways to address the political and social forces that have shaped the world we live in. At the same time his contributions to the field of art have been outstanding for their formal and conceptual originality, their agile blending of dissonant parts and alternative perspectives, and their irrepressible playfulness. His work moves and delights us in ways that can never be anticipated,” said Ralph Rugoff, the artistic director of the 58th Biennale. Durham has participated in several editions of the Venice Biennale and other major international events – Documenta, the Istanbul Biennial, Whitney Biennial in New York and others. A number of museums across the US have hosted Durham’s retrospective exhibitions in the past few years, displaying the artist’s works from the 1970s until today. He has had solo exhibitions at different museums around the world, including MAXXI Rome, Palais des Beaux-Arts in Brussels, Musee d’Art Moderne de la Ville de Paris and London’s Serpentine Gallery.